Astronomes Amateurs du Luxembourg a.s.b.l.
" We bring the Universe to you ! " Founded in 1971 by a group of enthusiasts and star aficionados, our association is now counting more than 130 members.As a national association we attract hobby astronomers from the whole country to our regular night-sky observations and to the meetings in our club at Dudelange. A few thousand years ago astronomy started as the study of the motion of celestial bodies and has ever since developed into different specialities such as planetology, astrophysics, cosmology and so on. This diversification reflects itself in the interests of our club members. Some cherish the love for stellar constellations and planets, whereas others prefer deep sky (galaxy, nebula) observation. Although you do not need to have a telescope or binoculars to be an amateur astronomer, many of us can call themselves owner of one of these optical instruments. Bringing people into contact with astronomy is the main goal of our association. This is why we organise introductory courses in school classes and offer free charge telescope observations to people of all age and background at selected sites in the country. The sky and the universe concern everyone of us. Aeons ago, generations of stars fused the elements which now form the building blocks of life. Right now we start understanding how our solar system formed, but far away, in the realm of galaxies, an enormous amount of unknown things and exciting questions remain. The club is composed of members of all ages and of both sexes and is pleased to inform you about all astronomical questions, events and observations! You can e-mail us, join us under the starry sky or visit our club for conferences or workshops. Don't hesitate! There are no previous knowledge or skills required! Astronomers have visionary thinking: Why not create a national observatory for all people? We have put this vision in our agenda and try to convince politicians and decision-makers alike of the purpose, the objectives and the necessity of such a national observatory. If you want to know more about this topic or the universe, you can join in and participate in one of the program sessions given on our homepage. The lectures are in Luxembourgish language! We bring the universe to you! We will meet every 1.Saturday each month. 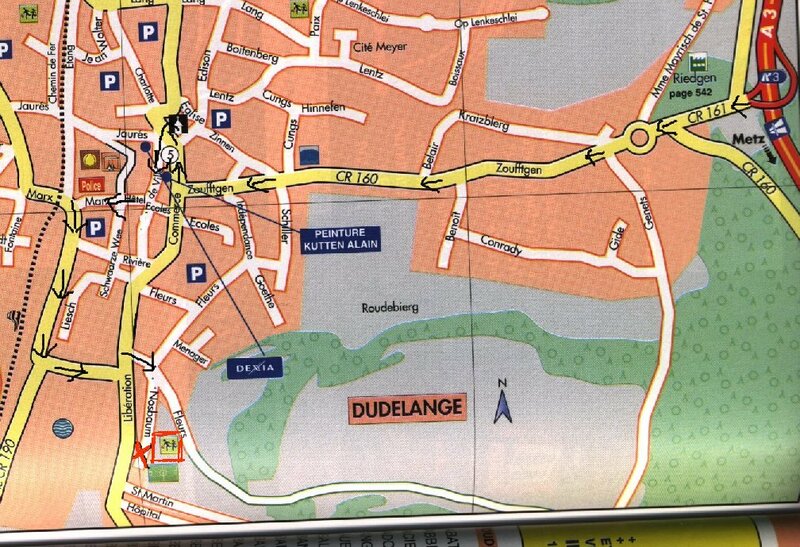 Meeting point will be at 8:00 pm on the parking in front of the railway station in Dippach-Gare. From here we will move to the observing place. 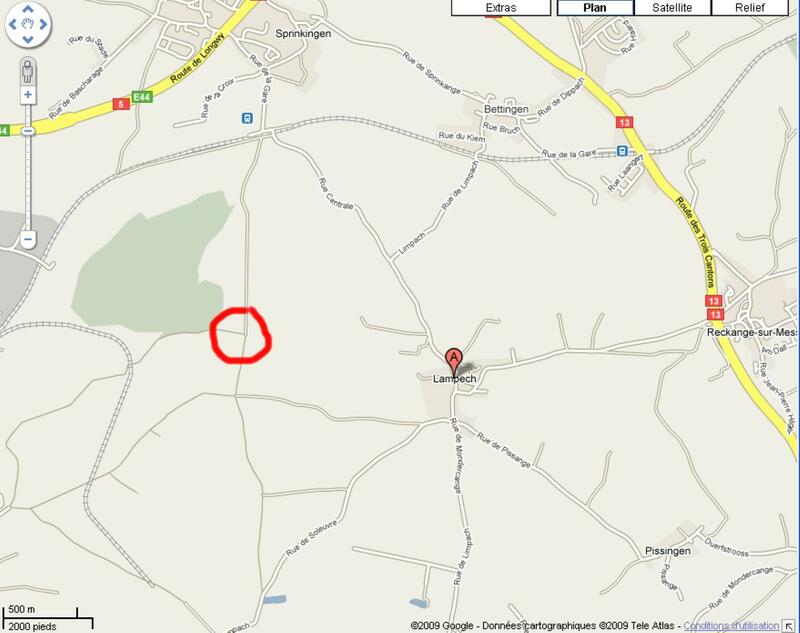 Click here for map (370 KB)! 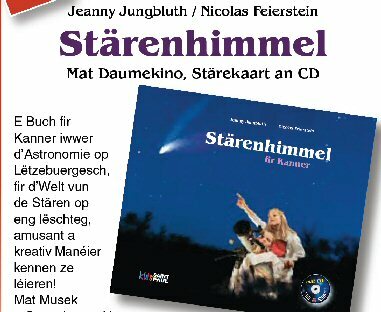 E Buch fir Kanner iwwer d'Astronomie op L�tzebuergesch vum Jeanny Jungbluth an Nicolas Feierstein! E Buch fir Kanner iwwer d'Astronomie op L�tzebuergesch, fir d'Welt vun de St�ren op eng l�schteg, amusant a kreativ Man�ier kennen ze l�ieren! Mat Musek a Gesang, mat klenge Geschichten a mat e puer Basteluleedungen. 19,90 � An de Librairien. D'Buch g�tt g�int e Virement op de Kont vu saint-paul luxembourg bei der Spuerkees LU61 0019 1300 6666 4000 ouni Portosk�schten heemgesch�ckt. (w.e.g. Titel uginn) Download PDF: hei 129 KB.